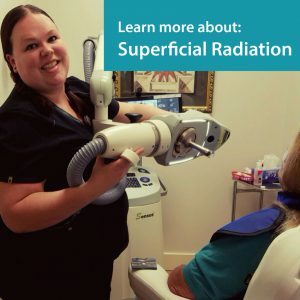 Photodynamic therapy is one of the most exciting advancements in dermatology in the last 10 years. It is used to treat precancers and actinic damage over the entire face and scalp. A solution is applied to the area and allowed to penetrate for a prescribed amount of time. Then a blue light is used to activate the solution which then “attacks” the precancerous cells. The result is a sunburn-like reaction lasting on average 4 to 6 days. Not only are precancerous lesions treated leading to a decreased chance of skin cancer, but also the entire face is rejuvenated, smoother and less photodamaged. Photodynamic therapy using Levulan has been shown to reduce the appearance of acne rosacea and acne vulgaris. It is effective in treating mild and moderate acne by reducing the amount of oil that sebaceous glands are able to produce. Clinical studies have shown that 50-60% of patients with moderate to severe acne have achieved and maintained clearance for up to 1 year with 3 treatments. Usually 3-6 treatments are recommended for the treatment of acne. Results may vary amongst patients. Some patients may see clearance for longer periods of time while others may take longer to see improvement. Treatment for precancers is covered by most insurance companies. Treatment for acne is usually a non-covered insurance procedure.